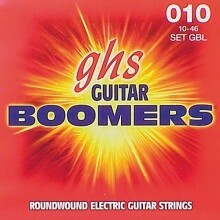 string set electric, roundwound, light, 010-013-017-026-036-046 Steel strings wound with fine nickel flat wire. These strings are ideally suited for both students and artists. The renowned violin virtuoso Roby Lekatos is so convinced of the quality of the Protos Series that it is the string he plays on. These flat-wound strings have very smooth surfaces and their quick response are outstanding. These strings do not sound at all hard or "metallic", thanks to their special construction they produce a brilliant and soft sound. If tuned correctly within the set, these strings have approximately the same string tension as gut or nylon core strings.